There are several offences relating to impaired driving allegations that are often listed by police on the Promise to Appear. In British Columbia, however, the police do not have the authority to make the final decisions about which charge or charges will proceed. This responsibility rests with Crown Counsel. For this reason, the charges ultimately approved may differ from those listed by police on the Promise to Appear. The first appearance date listed by the police on a Promise to Appear is only the beginning of the criminal process. Typically, it will take several months and a number of court appearances before the case is finally resolved. Once a person accused of impaired driving has retained a lawyer to assist with the case, it is possible for the lawyer to appear in court on the client’s behalf for the numerous court appearances that are usually required before the case is ready to be heard. This can significantly reduce the time and embarrassment associated with having to appear in court personally on these occasions. The consequences of being convicted of impaired driving are serious. They include fines or jail as well as a minimum one year driving prohibition for a first offence. In addition, a conviction means a criminal record which can affect a person’s ability to travel or secure employment. In British Columbia, there are additional penalties for impaired driving and related convictions that can include indefinite driving prohibitions for subsequent convictions and having to pay for mandatory assessments and counselling regimes. Simply because an individual has “blown over” on the breath test does not mean that he or she will be found guilty of an impaired driving-related charge. Not only may the results of the breath test be inaccurate or not properly reflect an individual’s blood alcohol level at the time of driving, but the legal requirements for the use of such results are intricate and complicated. It is important to have an experienced criminal lawyer review all of the paperwork that will eventually be provided by the Crown in order to provide an informed opinion on the strength of each case. If, after reviewing all of the police reports, notes, and other materials, and discussing the circumstances with the client, the lawyer determines that the Crown’s case is a strong one, the lawyer may be able to reduce the potential negative impacts of conviction . 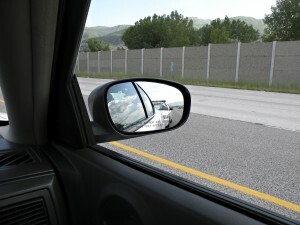 The law with respect to impaired driving is one of the most intricate areas of criminal law. It is important to obtain advice from an experienced lawyer immediately.